Henley Honda | 2017 | The Honda Clarity is coming to Canada! The Honda Clarity is coming to Canada! The Honda Clarity is Honda’s newest edition to the hybrid car market. The car will be available with three power variation options planned out for the four-door hatchback car. However, only the plug in style option will be coming to Canada. Eventually, the Clarity will be offered globally with all three options: the hydrogen fuel-cell hatchback, the plug in hybrid, and the battery electric. The fuel cell hatchback is currently available in California, and the all battery electric versions will be for sale soon in America. 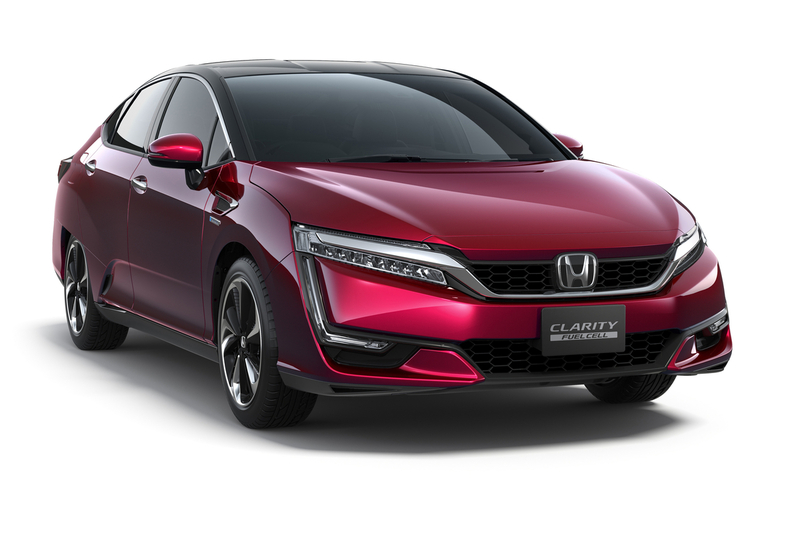 Honda engineers made lots of improvements in the already released versions of the Honda Clarity to make for positive customer responses. In the fuel cell models, the engines were downsized and re-positioned the engine so they fit under the hood like a typical engine on a car – which is unlike other fuel cell vehicles where the engines usually sit in the trunk or between seats. With the engines moved, the batter could sit under the front seats or behind the rear seats, with the rest of the interior room saved for space for the driver and passenger. This makes for a roomy, comfortable car. The new Honda Clarity has a high tech feel to it, beyond it’s high tech engine. The car features keyless ignition and keyless unlocking of the doors. Now, the car doors will open at the touch of the driver’s hand. The car also features wipers which turn on without driver intervention. Instead of you turning the wipers on, sensors built into the wipers activate the wipers as soon as rain or snow is sensed so your windshield will always stay clear. This isn’t the only safety feature in the new technology. New displays will project vital information onto the windshield, rather than a dashboard display like most are used to. This keeps your eyes up and on the road at all times. The new Clarity model with a plug-in hybrid engine will be hitting the Canadian market in late 2017. No word yet on prices or production numbers have been announced yet. Honda is taking it’s initiative to create more hybrid cars seriously, however. They’ve set a global target of ⅔ of all sales to come from electrified models by the year 2030. In short: the Honda Clarity is just the beginning for Canada.